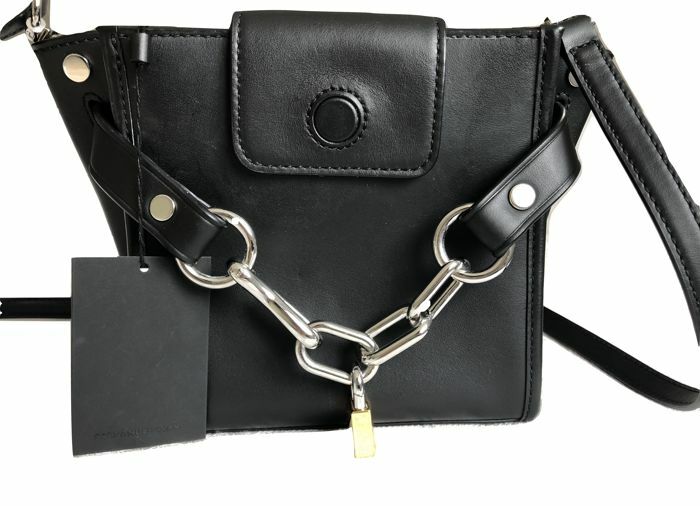 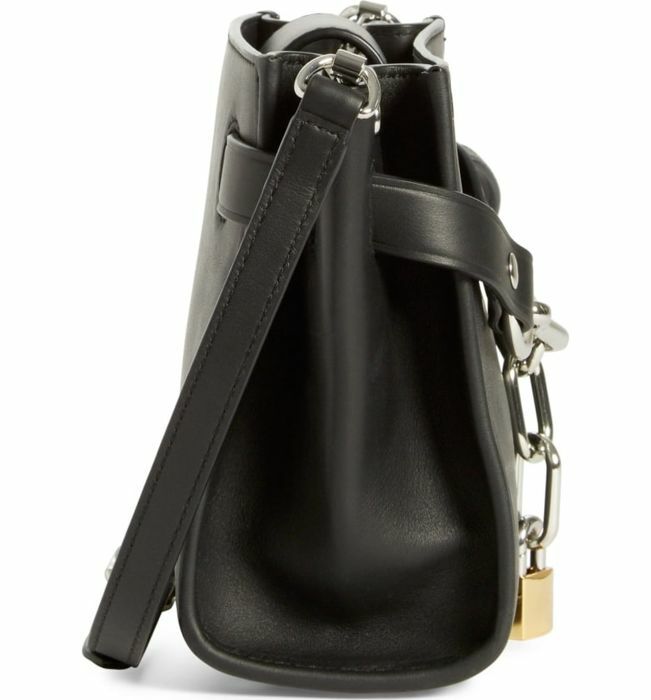 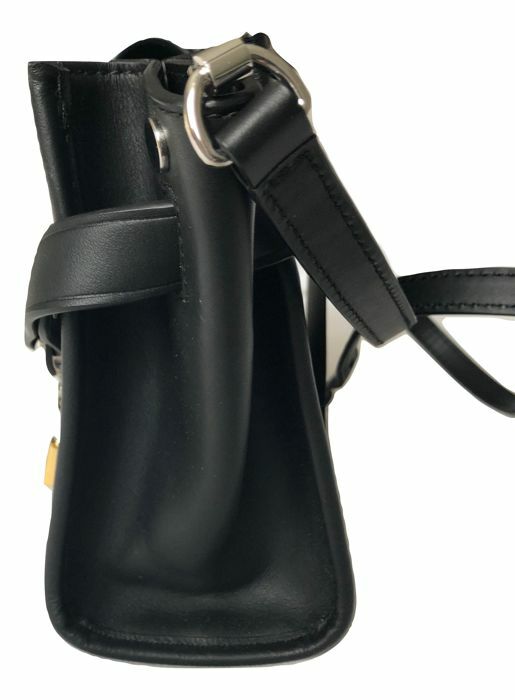 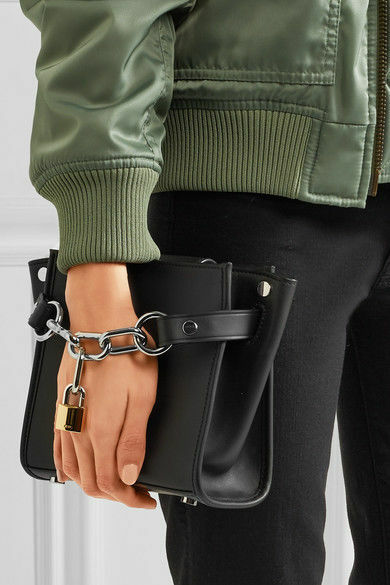 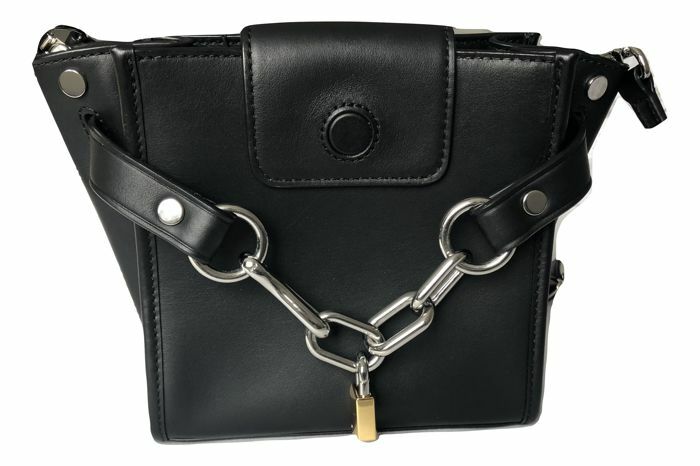 No longer available and wanted by many, this unique Mini Attica cross body bag with rhodium chain and yellow gold padlock detail by Alexander Wang. 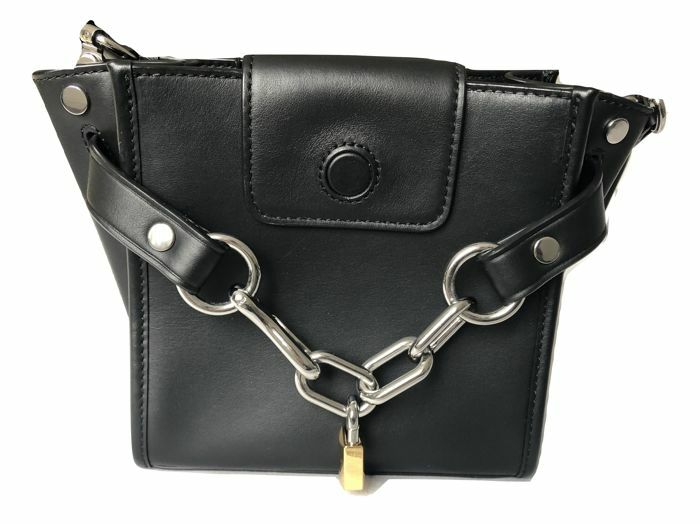 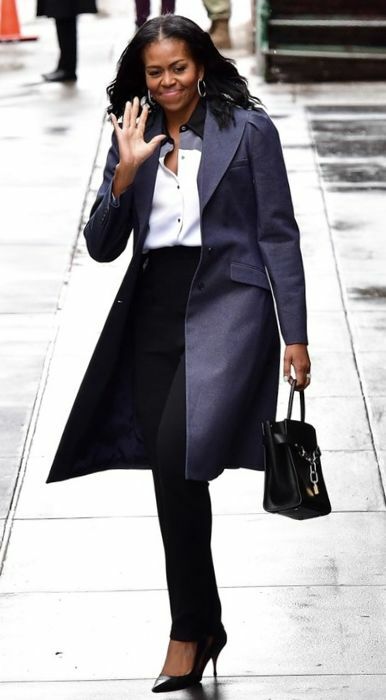 Embraced and popular with celebrities and even Michelle Obama wears an Attica bag by Alexander Wang (please see example photo). 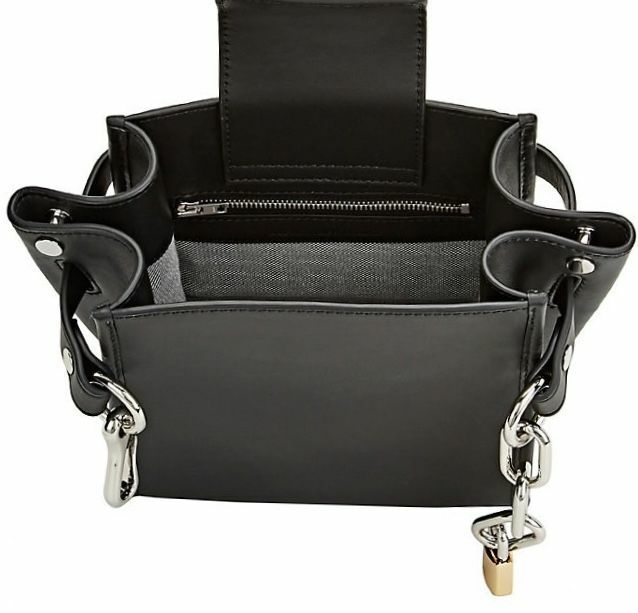 Magnetic lip closure and adjustable, detachable shoulder strap so you can carry the bag in different ways, shoulder /crossover and even as a clutch (please see example photo). 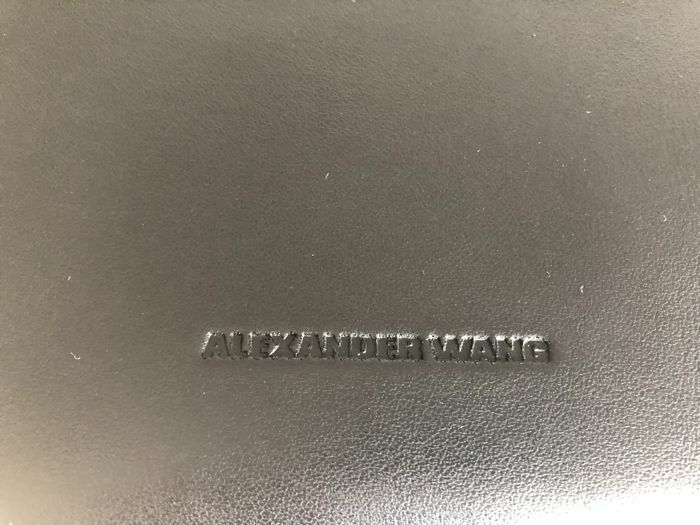 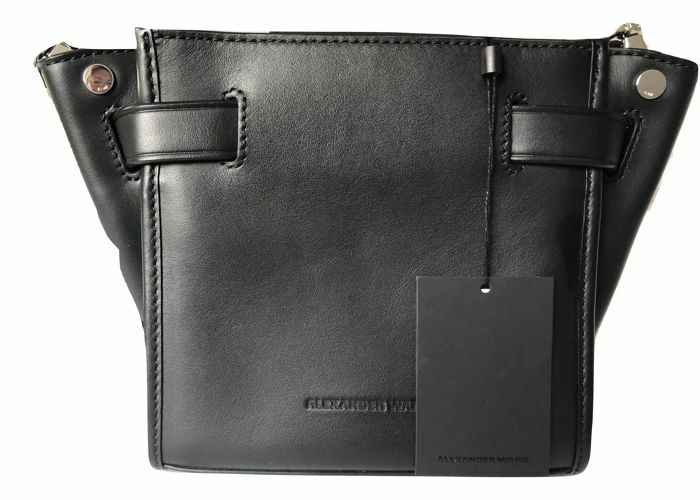 The interior has a standard zip pocket with the ALEXANDER WANG logo and a distinctive black and white mini check lining. 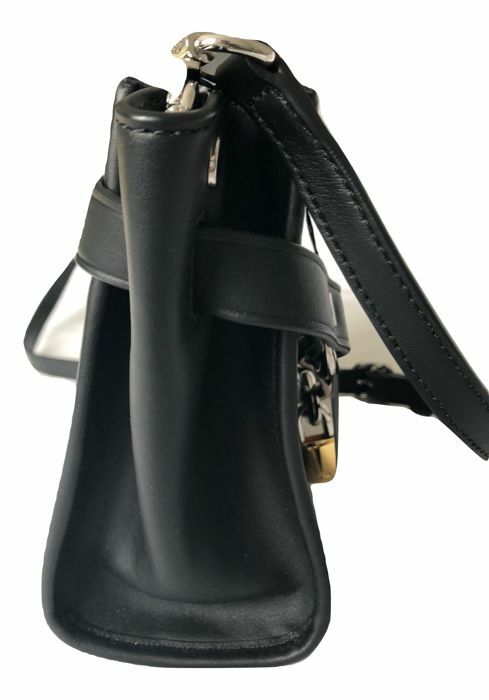 Tag still attached to the bag.